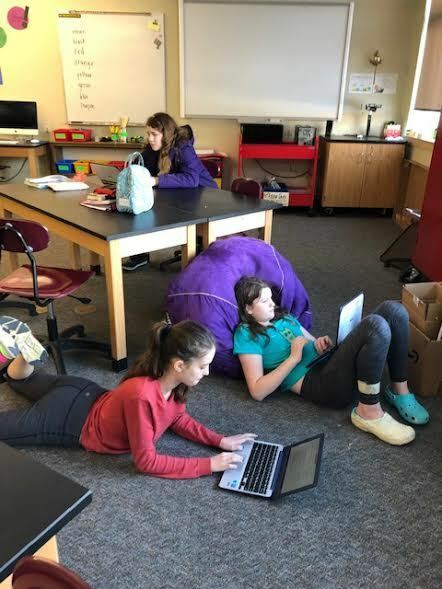 Recently, with the help of our tech guru, Ms. Abbene, the seventh grade is using a new web tool called "Noodle Tools" to investigate issues that are specifically related to teens. This tool utilizes electronic note cards to help students organize their notes, paraphrase the facts, and and finally create summary sentences to engage in research toward answering an essential health question. This quarter, the essential question posed is: "What are three main health issues facing teens today?" Students are investigating several sites, such as The CDC, Mayo Clinic, and Kidshealth.org to gather information to answer the essential question in smaller chunks, with the overall goal to use deeper thinking while investigating teen health issues. This quarter long assignment has replaced our past practice of using current events to research and write about a health topic. Noodle Tools helps students streamline their research, note taking, and thinking. Information and a tutorial on accessing Noodle Tools can be found on Lisa Damren's homework site and on the school webpage.